Most of my weight management clients find that slow and steady slimming works best. My method allows you to choose whichever foods you want. I help you increase the enjoyment of your meals and teach you to listen closely to your body. As a result, you eat only when you are truly hungry. You know which foods your body truly desires at the time and you can tell when your real hunger ends. Then you stop eating — because it is what you want to do. I am currently losing weight using this method. I am slimming through hypnosis at approximately 1 pound a week. I eat what I want, when I want. I don’t count calories and I don’t go hungry. I do greatly enjoy my food, my exercise program, and fitting into clothes that were once too small. 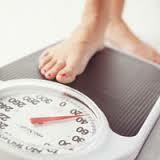 Weight management, up to 50 pounds, typically takes three sessions over a four month period. Most clients are in the midst of their weight reduction when we have the last session, but have all the skills necessary to complete their goal. They also know how to maintain their goal weight in the future. Some of my clients do feel uncomfortable leaving in the midst of their weight loss, so you can choose to add additional sessions. If you plan on losing more than 50 pounds, I offer a 5 session package at a reduced price. These five sessions are spread out over a one year period.